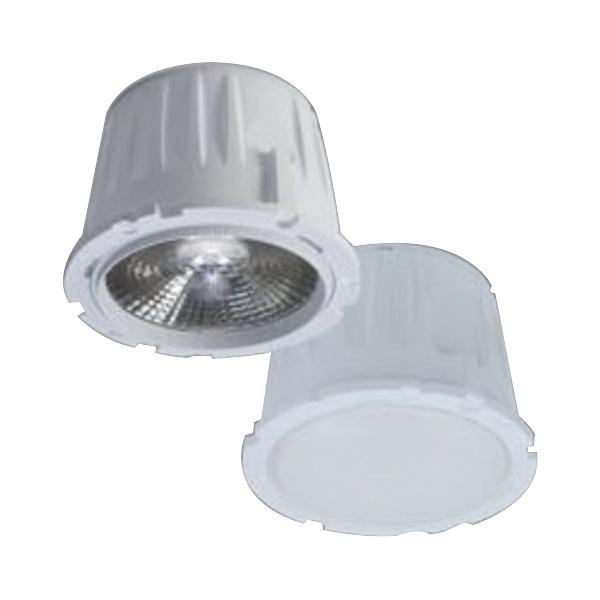 Halo ML56-1200 Series LED Light module features durable die-cast aluminum construction. It has 17.5-Watt 90 CRI 4000K LED lamp to offer 1200-Lumens of light output. Lamp has voltage rating of 120 - 277-Volt and current rating of 0.14-Amp/0.07-Amp. Lamp has power factor of 0.95 at 120-Volts and 0.9 at 277-Volts. This dimmable light module with 120 - 277-Volt universal driver, has insulated/non-insulated ceiling. It measures 4-1/2-Inch OD x 3-1/3-Inch. Module withstands ambient temperature ranging from 25 to 40 deg C. It offers IP56-degree of protection and is suitable for use with Halo 5-Inch and 6-Inch LED new construction and remodel housings. Light module is UL/cUL listed, FCC/Energy Star certified and RoHS compliant.